It's tricky to guess the age of a tortoise. 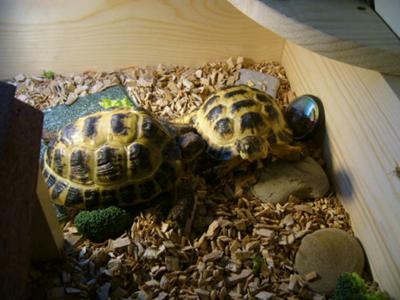 What I can tell you is that your tortoises should be about 9 inches at full growth. But tortoises don't reach maturity at a steady pace, so all I can say is that they have a way to go yet.